Upon checking into Boma for our reservation, we were seated immediately. Unfortunately, things kind of go down hill from there. It took a long time for our server to take drink orders. We do not blame her for this in the slightest, she was in charge of helping a table of 12. Whenever this happens it’s really hard to stay on top of your other tables. We started our meal with a soup and bread course. The soups were the least busy area of the buffet. This is a shame because the soups are very good. There were at least three options to pick from. While we were eating our soup, we noticed that things were getting increasingly backed up at the buffet. The line was running through the middle of the restaurant and was moving slowly. After we had finished our soup we went to go try the main dishes. The buffet was so backed up that a manager was trying to do damage control. She was asking people to go to the salad bar and soup section to start off their meals. We stood in line somewhere around ten minutes. The largest complaint we have about dinner is that buffet items were physically missing. They were out of the salmon. The mashed potatoes were slim pickings, and a lot of the vegetables (go figure) were also no where to be seen. A man was camped out at the vegetable station waiting for asparagus and refused to move so other people could try some of the other items. When I went to go get Kaitlyn something to eat a lot of the kid’s options were gone too. I snagged the last few meatballs and the tray that held the corn dog nuggets was empty. Honestly, this is the first time we have ever experienced anything like this at a Disney Buffet. We were surprised that they couldn’t get the food prepared fast enough to feed everyone. The dessert section of the buffet was adequately stocked and had a huge line! Those Zebra Domes are really such a huge draw to Boma. Due to the nature of our experience at Boma we are only going to comment on the limited items we were able to try. Normally we would have tried a larger selection of foods but as stated above many things weren’t available. The bread options available were diverse, from dinner rolls, to more exotic bread options, they seemed to have it all. The soups we tried were the Butternut Squash and the Chicken Corn Chowder. We decided to settle on the corn bread because it’s the perfect accompaniment to the soups we tried. The corn bread was the standard corn bread used at other Disney locations, aka delicious. The Butternut Squash soup was truly outstanding. My friend described it perfectly. It’s thanksgiving in a bowl. It was super rich and creamy (they are using heavy cream in this for sure it was so rich). The soup was also sweet so we believe that there may be some added sugar to bring out the flavor in the squash, as well as nutmeg and cinnamon. This was soooo soooo soooo good. We couldn’t even finish a whole ladle of it though because of how rich it was. The Chicken Corn Chowder was also very good. While still using heavy cream, the spices used help balance it out a bit more so it didn’t overwhelm the palate. This was a very standard chowder which had celery, carrots, potatoes, corn and chicken. You can never go wrong with a classic, right? Oxtail soup was also available. Personally we aren’t into soups that have bone in them so no one in our group tried it but we have heard positive feedback. Pork Shoulder- Okay so pork shoulder is one of those meats that is tough and chewy by nature. The way that you cook it really defines what type of consistency it’s going to have. Personally, in our household, we use pork shoulder to make carnitas or pulled pork so that means cooking it low and slow for hours so all the fat and connective tissues break down. This was cooked at a higher temperature for a shorter amount of time. The outside of the pork had a nice crispness to it but it was very fatty and chewy. So while the flavor was okay, no one in our group enjoyed this. Beef Round Roast- this had super mixed reviews at our table. It was cooked to a medium well, which pretty much sums it up. It wasn’t a flavorful cut, it had a very mild beef flavor. While Adolfo thought it was passable, Elyse found it to be way overcooked. This is one of those items where it’s really going to depend on your personal preferences. Roasted Chicken- The chicken had a wonderful smoky flavor and every one appreciated the flavors brought into this dish. Adolfo found the chicken to be slightly over cooked (the chicken was pretty dry) and that drew away some of it’s appeal. All in all we have to say that this portion of the meal was a huge miss. 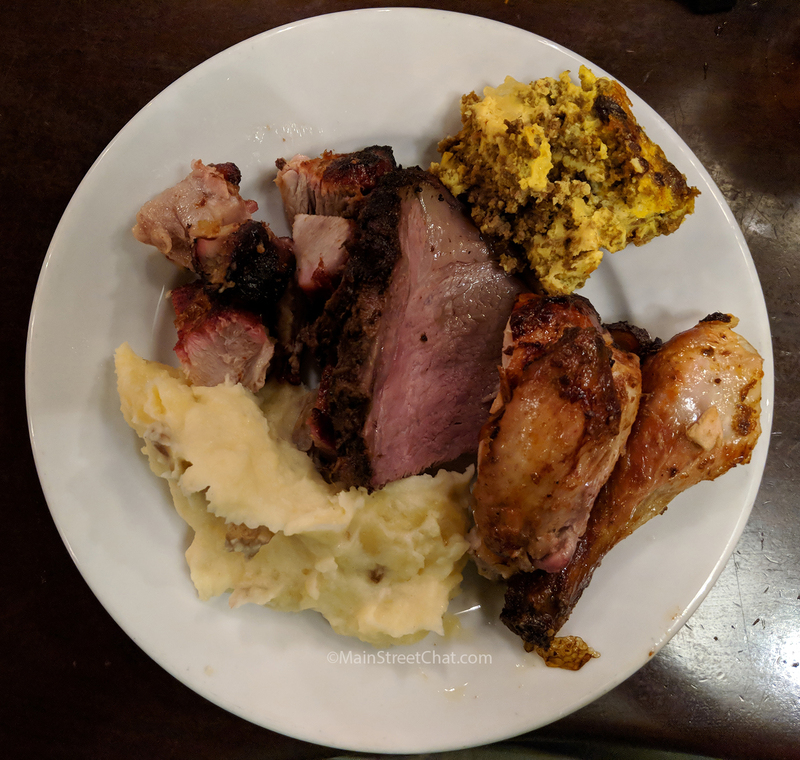 They were short on sides and all of the meats were a miss because they either weren’t out on the buffet or overcooked. Many of the sides were not available while we dinned at Boma. They had a few slim pickings in the way of mashed potatoes and that’s pretty much it. Most of the sides were empty or near empty. We literally did not get a single vegetable because the options were either something we didn’t enjoy like a stir fried cabbage dish, or they were simply missing from the buffet. The kids corner of the buffet made me rage a little during dinner. The majority of the items were empty and what they did have left was bottom of the barrel food that had been sitting out. The options also sucked. They had some really gross meatballs, penne, corn and peas, and corn dog nuggets. Come on Disney, kids deserve good food too. The dessert section is where this buffet shines. There are a ton of options and most of them are the standard items that you find on all Disney buffets. Here’s where things get interesting though…the zebra domes and the bread pudding. Zebra Domes are one of those food items that are constantly raved about in vlogs and blogs alike. They are delicious white chocolate domes filled with a milk chocolate mouse and, we believe, baileys. While we truly enjoyed the Zebra Domes they are very sweet and we could only finish one. Our favorite dessert item by far was the Ghana banana bread pudding with dark chocolate. The bread pudding was perfection. 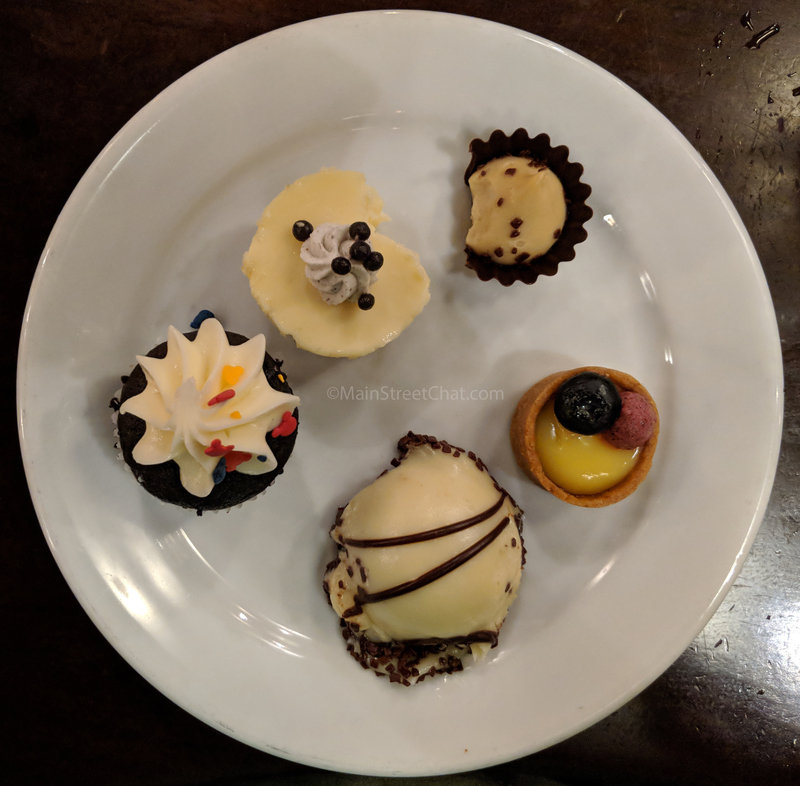 I’m not trying to be obnoxious but I seriously believe that this is the best dessert I have ever tried on Disney property. Would we have dinner at Boma for dinner again? No I don’t believe we will. This has to do more with the buffet missing so many items. It really seemed like Boma management doesn’t have their act together when it comes to dinner. Breakfast is a vastly different experience. If you haven’t read out review click Here. 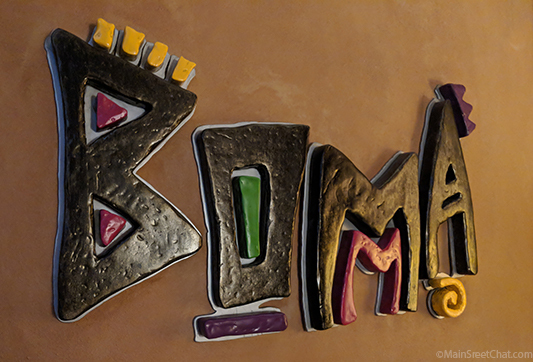 Have you guys ever eaten at Boma for dinner before? What did you think of the food? Let us know in the comments below. Interested in other offerings at Animal Kingdom Lodge? Check out our Sanaa review!